If you are coming to Cape Cod, we hope you will stay at our bed and breakfast located in the oldest and perhaps the most historic of the Cape’s villages. If you will be visiting the Cape for several days, you should take a day-trip to the “Little Gray Lady”, the island of Nantucket. This small island out in the Atlantic Ocean is truly another world. 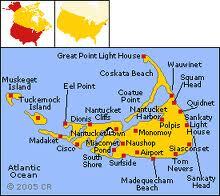 Nantucket is located 25 miles off the coast of Cape Cod. The island is about 50 square miles in size with a year-round population of just over 10,000 people. In recognition of the island’s 150 years as the center of the world’s whaling industry, the U.S. Department of the Interior has designated Nantucket Town as a National Historic Landmark. Transportation to Nantucket Island is available via air or water from Hyannis. To get to the island by ferry, you will need to book passage aboard either the Steamship Authority or Hi-line Cruises. Both depart from Hyannis and both have traditional ferries and fast ferries. The traditional ferries take approximately one hour and fifty-five minutes to make the trip and the fast ferries only about fifty-five minutes. The difference in the two is mainly the cost of tickets, but each has a different departure schedule. The important thing to remember is to check out their information online and make reservations. If you are thinking about taking an automobile to Nantucket Island, you may want to reconsider. The island is small with only one main village and there are many transportation options available once you arrive. The only ferries transporting automobiles are the traditional ones that take two hours and it is quite expensive. Be sure to check for space availability and fares on the websites for each company. Both Nantucket Airlines and Island Air provide air transportation from Barnstable County Airport in Hyannis. See their websites for fares and schedules. When you step off the ferry and onto Straight Wharf, you are on island time and in what the locals call Nantucket Town. If you are visiting Nantucket for the first time, you may want to take an organized tour of the island when you arrive. There are a number of options available via wheels, heels, and peddles. Most require advanced arrangements during the summer months. This will give you an opportunity to learn about the island and see some places that you probably will never see on your own. Most folks don't know that Nantucket has two cranberry bogs, Milestone Road and Windswept, both working bogs. The tours show you the bogs, The Old Mill, Sconset Village, Sankaty Head Lighthouse, Nantucket moors, and Low Beach. If you would like to tour the island by bicycle, you can rent wheels and get a wonderful map of the bike paths at Young’s Bicycle Shop on Broad Street. Nantucket Bike Tours offers a number of guided biking tours and will even customize one for you. Not a cyclist? Not to worry. There are several automobile rental companies on Nantucket where you will find convertibles, Jeep Wranglers, and other fun cars that you can rent for the day at pretty reasonable rates. We have had guests who have done this and had a really great day touring the entire island. There is seasonal public transportation on the island in the form of The Wave bus, which has routes from Madaket to Sconset, Surfside to Jetties beaches, to Nantucket Airport, downtown Nantucket, and to the Mid Island area. Check the schedules and dates of service online and when you see the bus, wave it down and it will stop. Known as a whaling port during the 17th century, little has changed architecturally since. The cobblestone streets are still lined with old-fashioned lamps and quaint seaside cottages. 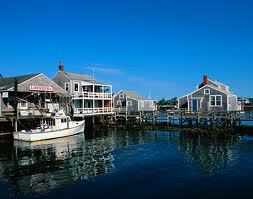 The island is a national historic district and is one of the most beautiful places in the world. Just ask anyone who has ever visited there. Nantucket Village is filled with restaurants that would satisfy the most ardent of foodies, world-class boutiques, art galleries, and museums. The island has beautiful beaches and wild moors, gray shingled house with white trim, cobblestone streets, and in the summer months, rose-covered white picket fences and blue hydrangeas everywhere you look. From the moment you arrive, you will be in love with the island way of life. If you would like to take a walking tour of Nantucket Town, you can pick up a self-guided tour map at the local Chamber of Commerce and be on your way. You will be guided to historic houses along Lower Main Street, Upper Main Street, Milk Street, Bloom Street, Howard Street, to the Old Goal on Vestal Street, Quaker Meeting House on Fair Street, and the Fire Hose-Cart House on Gardner Street. During the summer months, a climb up the 94 steps to the top of the First Congregational Church bell tower is a must. The birds-eye view will take your breath away. Make sure you have on comfortable walking shoes as the cobblestone streets can be difficult to navigate in those stilettos you love so much because they make you legs look amazing. Guided tours are available to the Old Mill, the oldest windmill in America and one of Nantucket’s historic icons, and to the Oldest House, that was built in 1686. Guided tours are available through the Nantucket Historical Association at the Whaling Museum at 13 Broad Street. A must see while you are on the island is the Whaling Museum and it’s numerous galleries that showcase the history of Nantucket and its whaling past. The museum features a restored candle factory, artwork, artifacts, and a forty-six-foot sperm whale skeleton. If art and antiques are where you interests lie, you will have a fine time checking out the local galleries and antique shops. Many creative people call this small island home. 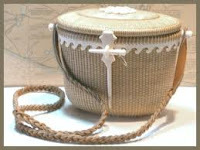 One of the most well-known of Nantucket’s products is the Nantucket Lightship Basket. Woven by Alan Reed and Nap Plank and signed and dated, these are some of the most coveted baskets in the world. Native artist and Scrimshander Lee Ann Papale does the scrimshaw for these works of art. Visit the shop at 11 First Way in the Mid-Island area to see their new and vintage baskets. Nantucket Town is a Mecca for shopaholics. Most of the quaint boutiques are locally owned and are filled with items you surly won’t find in any mall. You are sure to find a unique treasure for yourself or a gift for someone special. A favorite place of mine is the Nantucket Cottage Hospital Thrift Shop. Located in a lovely old house at 17 India Street of which the entirety has been converted into a shop, this place is a little gem. You will find great style here that is amazingly affordable. They are only open from mid May through mid October. So plan you trip accordingly. If you are visiting Nantucket anytime from June to October, stop by the Cisco Brewery at 5 Bartlett Farm Road for a tour. The cost is $20 per adult and covers the brewery, the distillery, and the winery and includes samples of their products. You even get to keep you tasting glass. During the afternoon and early evening hours there is live music. You can bike there or take the Regional Transit Authority buses Miacomet Loop. If you do take the bus, be prepared to walk about a third of a mile from the bus stop. While you are out that way, be sure to visit Bartlett’s Farm. It is the island’s oldest and largest family owned farm and sells fresh fruits, vegetables, plants, and flowers. Bartlett’s Farm Kitchen has farm-fresh ready to go foods. Be sure to check their website for the date of their next farm dinner. You may want to make a special trip to the island to attend. Reservations are necessary. Nantucket has pristine, beautiful beaches with designated entry points. Some you can get to by foot from town, others you may need wheels, or peddles. You can take the shuttle bus to, or within walking distance of, several beaches. Surf and rip currents can be dangerous and not all beaches have lifeguards or services of any kind. Madaket Beach is famous for its sunsets. Great Point has a lighthouse that is well worth seeing but you will need a beach permit and a four-wheel drive vehicle. Brant Point has a lighthouse that is familiar to everyone who has visited the island as it will be for you when you visit. You may want to pick up a picnic lunch to enjoy at the beach. Just remember not to leave any litter behind. In Nantucket Town there are wonderful bakeries, chocolate shops, gourmet specialty shops, and markets, all purveyors of the most delicious and the finest of products you will find anywhere. If you are a foodie, every conceivable kind of dining experience is available here from world-class fine dining to the casual and friendly. Galley Beach is one of the highest Zagat rated establishments on the East Coast and where the rich and famous enjoy the coastal cuisine. Figs at 29 Fair is perhaps Nantucket’s most historic restaurant featuring the bold and complex Mediterranean flavors of well-known chef Todd English. For great food and good value in a casual atmosphere, stop in at The Brotherhood of Thieves at 23 Broad Street. Here you will find good food, good drink, and good company. We like to sit at their 1840’s Whaling Bar. Black-Eyed Susan’s at 10 India Street and Queequeg’s at 6 Oak Street are both casual and fun. A great local favorite is the Even Keel, which serves breakfast, lunch, and dinner. We love having lunch on their outdoor patio. This is a great place to grab take-out if you are headed to the beach for a picnic. Make sure you check the ferry schedules so that you don't miss the boat back to America! 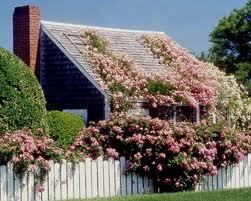 There is something for everyone on this quaint and beautiful island off the coast of Cape Cod. The Gray Lady’s picturesque beauty is sure to steal your heart. If you are staying at our bed and breakfast and traveling to Nantucket on one of the early morning ferries, we are happy to make you a take-away breakfast to enjoy on the trip over. Just let us know the day before you plan to visit the island. Note: Visitor information is available on the Nantucket Island website and from the Nantucket Chamber of Commerce. Yes, it is early October, and guests staying at our Cape Cod bed and breakfast cannot believe the temperature has been pushing 80 degrees. Many of the Cape beaches and summer oriented attractions and shops close after Labor Day and even still more shutter up for the winter after Columbus Day. Sadly I missed my last lobster roll of the season at the Sesuit Harbor Café, which closed on Columbus Day. So, yes the weather continues to be unseasonably warm and pleasant, but even without the beach focus, Cape Cod offers so much to do in the fall. Last weekend was the height of Cranberry Festivals, with celebrations of the cranberry harvest from Brewster to over the bridge in Wareham. If the prediction of more great weather doesn’t attract you to Cape Cod, how about the opportunity to attend the Wellfleet OysterFest in Wellfleet, MA? To the well-informed oyster aficionado, it is no secret that this quiet, bayside port is the home of the world famous Wellfleet oysters, and the site of the 10th annual Wellfleet OysterFest on October 15th and 16th. This is a two-day celebration of the town’s long shellfishing history with a weekend of food, art, music, and fun. 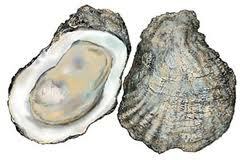 The Wellfleet OysterFest was started by, and is sponsored by, a local non-profit group called SPAT. I kid you not, SPAT, which stands for Shellfish Promotion and Tasting, was created with a mission of “fostering a greater understanding of the towns shellfishing industry.” Also, in case you did not know and I sure didn’t, an oyster actually is formed from a free-swimming larva called a spat. 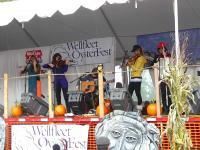 Today, the Wellfleet OysterFest is two full days of great fun and activities. The winding streets of the downtown area of Wellfleet are blocked off and street vendors offer every imaginable method to consume oysters. It is a sheer delight to eat a plate full of raw oysters that you watch being shucked just after they were plucked from an icy bed in a full sized dingy heaping with fresh oysters from Wellfleet harbor’s pristine oyster beds. I am not sure I would have used the SPAT acronym, but who am I to argue with success. Last year, we lucked out with the comings and goings of guests and made it to the Wellfleet OysterFest on Sunday. Beware that on a summer day the traffic from the Orleans’s rotary to Wellfleet can be a bumper to bumper slow go, and on this autumn weekend it will be just as busy. A parking tip from our experience is to ignore the signs and flag wavers directing you to off site parking as soon as you hit the town limits. These distant temporary lots are miles from the action and require you to hop on a shuttle bus. Since we have been to Wellfleet many times, we headed to the harbor which has a huge parking lot. Although it was full when we arrived, spots soon opened up and we were then only a short walk from Main Street and the events, including the Oyster Shuck-off. From our Sandwich Inn, it is only about a 45-mile trip. You may experience some delays on the road into town, but it will be well worth the wait to participate in this one of a kind seaside festival on October 15 and 16, 2011. Come stay with us and share your experiences with us and our other guests over breakfast the next morning. As we say goodbye to the warm days of September and welcome in October, our Cape Cod bed and breakfast is still very busy and our guest are enjoying the nice fall weather. September and October are good months to visit the Cape and Islands because the weather is wonderful and the summer crowds are gone. On a recent day, while all our guests were off on their adventures for the day and before new guest checked in, I left the inn to run a few errands. At mid-day, I found myself near the Heritage Museum & Gardens and decided to stop in to see the new Tree House in the Hidden Hollow. from our Sandwich Inn. It is over 100 acres of botanical gardens with three museums. The gardens were originally created by the Lilly family of Indianapolis, Indiana to house the collections of Josiah Kirby Lilly, Jr., the past Chairman of the Board of the Eli Lilly and Co., the international pharmaceutical firm. Today, the permanent collections and changing exhibits are housed in the three main buildings: the J. K. Lilly III Antique Automobile Museum, the American History Museum and the Art Museum. The magnificent grounds and pathways are home to thousands of Rhododendrons, daylilies, hostas, and hydrangeas. From May, starting with the world famous Dexter Rhododendrons, something is always in bloom along the manicured trails. In addition to museums, other attractions on the grounds include the Old East Windmill, a Labyrinth, a Maze, the Flume Fountain and the Hidden Hollow. Although only a short distance from our Inn, and a must see for my guest, Jan and I seldom have time to personally explore our beautiful neighbor. I usually make it up at least once during the summer to the antique auto show. Today, I headed directly to the Hidden Hollow, which is billed as “an outdoor discovery center where children can climb stepping stumps, navigate log balance beams, construct forts, create nature-inspired art, build with blocks, dig in sand, experiment with water, make music, engage in sensory investigation with plants, and more”. I just wanted to see the new Tree House. My fantasy of living in a tree house started with reading Daniel Defoe’s Robinson Crusoe and Johann David Wyass’ Swiss Family Robinson. In both classic novels, the main characters survived a shipwreck and found themselves stranded on a hostile island. As they sought protection from the elements and required a defendable position, a tree house provided the perfect refuge. Building high in the tree kept them off the damp ground and gave them a vantage point to observe enemies in time to secure and defend their home. My imagined and romanticized tree house, based on my readings, was given new depth when I visited the Swiss Family Robinson Tree House at Disneyland in 1960. I still found myself excited and in awe last year as we walked through the Disneyworld Magic Kingdom’s version of the Tree House in Orlando FL. You are never too old to enjoy a tree house. The Heritage Museums & Gardens Tree House sits in the large Oak trees above the Hidden Hollow. 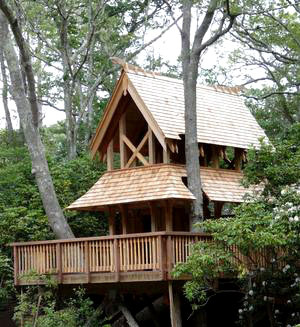 Built by students from the carpentry program at the Upper Cape Cod Regional Technical School, the tree house is made of sustainable woods of ipe, locust, red cedar and mahogany. I had to restrain myself from letting out a Tarzan-like yell as I ascended the stairs to the top and surveyed Hidden Hollow from a bird’s eye view. Years after the first reading those old adventure books, I still love a tree house and I am glad that one is so near for the next time I feel the need to clime to the top of the trees and get a new/better prospective on the world. Heritage Museums & Gardens continues to be a magical place here in the heart of Sandwich Village and a must see for guest who stay at our Sandwich Inn. See our website for the winter specials to see the Spectacle of Lights at the Gardens and enjoy the Holidays with us.